This card is a sign that Jesus’s healing presence is with you (or with the person you’re inquiring about). He brings nondenominational healing to all who call upon him, with unconditional love and forgiveness. Your prayers for Jesus’s help have been heard and answered, and his grace is supporting your peace and well-being. Jesus’s teachings focused upon the healing power of faith, so this card is also a call to trust and have faith in miracles and blessings. Possible Specific Meanings: Give any fears to Jesus • Ask Jesus to put your mind and body at ease, for peace is the foundation of health • Ask Jesus for guidance about what to do next, then listen to your intuitive wisdom • Read an inspirational passage about Jesus’s healing miracles • Request that Jesus boost your faith. 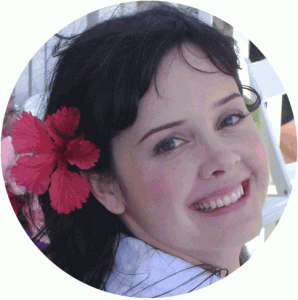 Dear Jesus, thank you for your Divine healing power and presence. 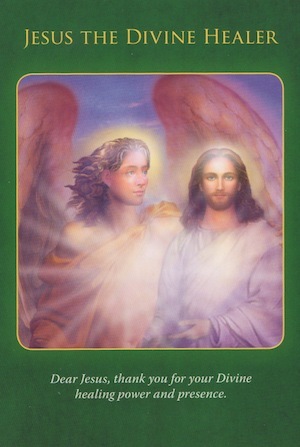 This card was drawn from the Archangel Raphael Oracle Cards by Doreen Virtue.